I looked forward to the year 2013, even though the german rules had a damper for us: without any substantiation the female cruiser classes were disastablished at national level. At least at regional races in the southern part the senior cruiser-women were still part of the races. Well, this meant painstaking training, with the goal not to completely perish against the men same age. Maybe this would be useful some day, even though it didn't seem like that at this time. As always in life, as soon as one door closes, another one opens, and that was the european championship. Here 3 female cruiser-classes were introduced, same ages as for the worlds. That was a very worthwhile goal. The season's preparations went - as usual - at full speed and well, apart from that torn ligament in my outer right foot in february, which limited me only for a short time - luckily. I soon went on like planned, it wasn't anything life-threatening. After we had our traditional clinic at Ingersheim, where i was once again coach, the season started. First there were some races at regional and national level. Unexpectedly, i could win the first bavarian cup at Kolbermoor against the men senior 3, the 2nd round i was in front in my own class, i felt better each week, and the foot participated suitable. 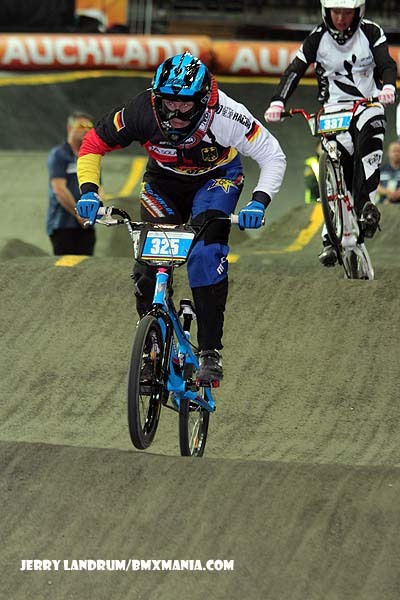 At the national series Bundesliga sometimes i competed in both male classes - a phantastic endurance-training - and i reached more finals, than i ever thought i could, my ranking goals proved as somewhat realistic. 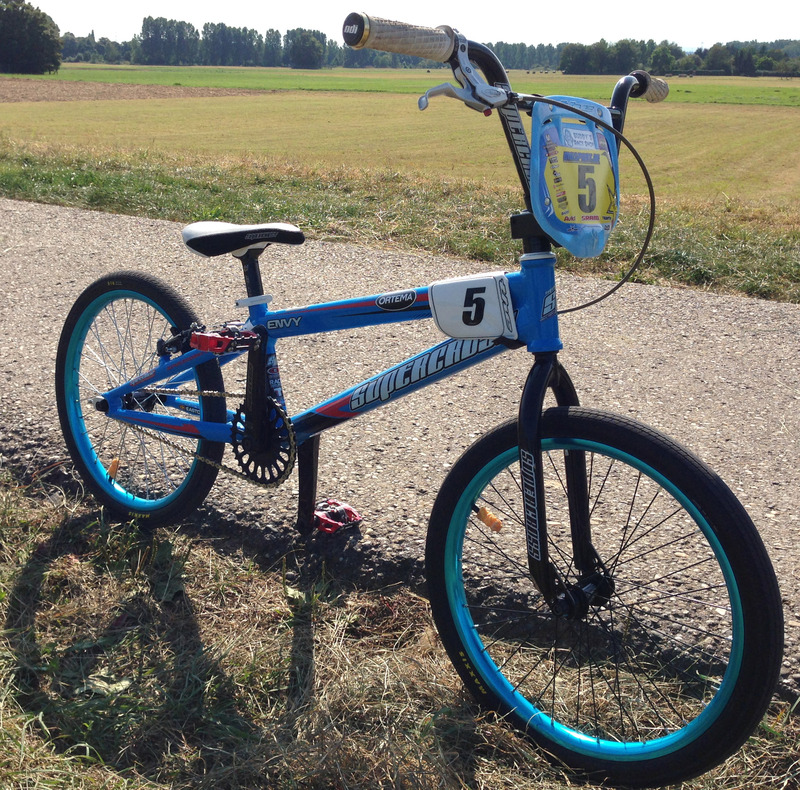 Finally my new 20-inch bike from my new sponsor Supercross BMX arrived, i rode the parts and frame of that brand earlier, in the years 1994 & 1995. It was somehow like "Back to the roots". 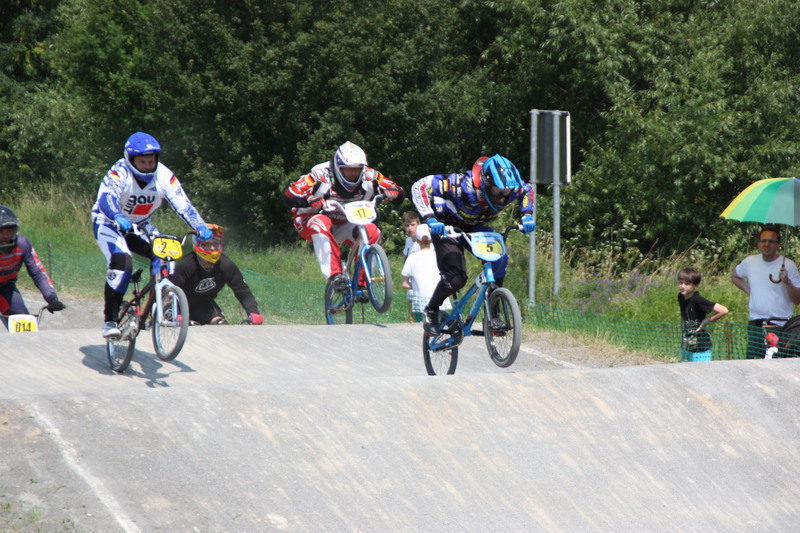 After only a few training laps the first international competition was scheduled: racing beside the Euro rounds at Weiterstadt. I reached the main final on both days in the women 17+, but recognized that the bike asked for some fine-tuning, which i did immediately. In the following races in the national series it worked even better. Beginning of July the german championship was scheduled at our hometrack, which has been rebuilt a bit and especially at the last straight very challenging. The the event-schedule was different compared to previous year, that meant cruiser and class race at one day - but luckily in parted blocks, so i could concentrate at one bike at a time. I felt confident, and my gates worked as good as i was used to. In cruiser it was enogh for making semi-final (5th) and a top-ten place (9. ), and in 20-inch it wirked even better. After my 4th lap with the cruiser i thought, that's it, nothing possible anymore - i felt my legs so much, but a short break was good and was enogh to regain some power and energy. Somehow i maneged the track better than some of the other powerful guys, and thanks to some positive influences i reached the men's 40+ final and repeated my last year's 5th place. My final training 2 days later was with much self-confidence very satisfying, and so i went with a good mood to the european championship to Belgium. 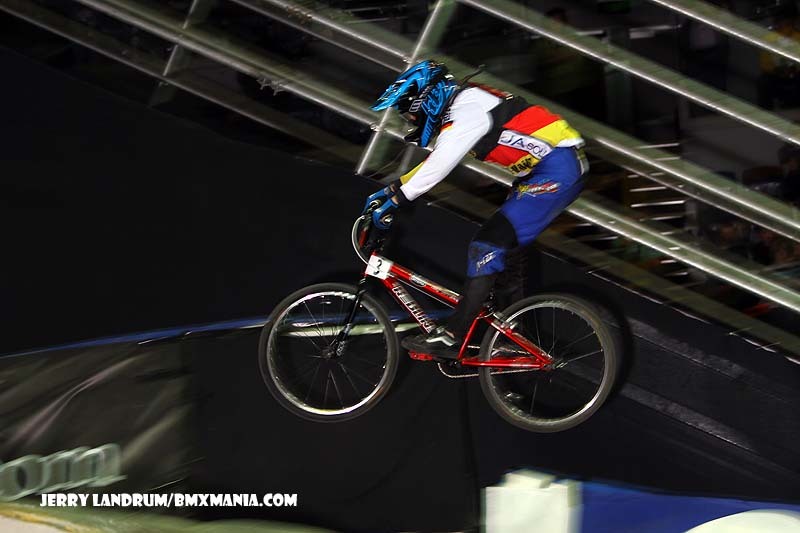 After plain motos and also main final i could take the first ever title in Women Cruiser 30+, while in 20 inch i reached my goal, to be part of the semi-final in the women 17+ category. Arrived at home, did some fast laundry, because the plane to Newzealand almost waited for us. The adaption to the time-zone took some days, but the long flight was worth it, we visited a beautiful ans worth seeing country. 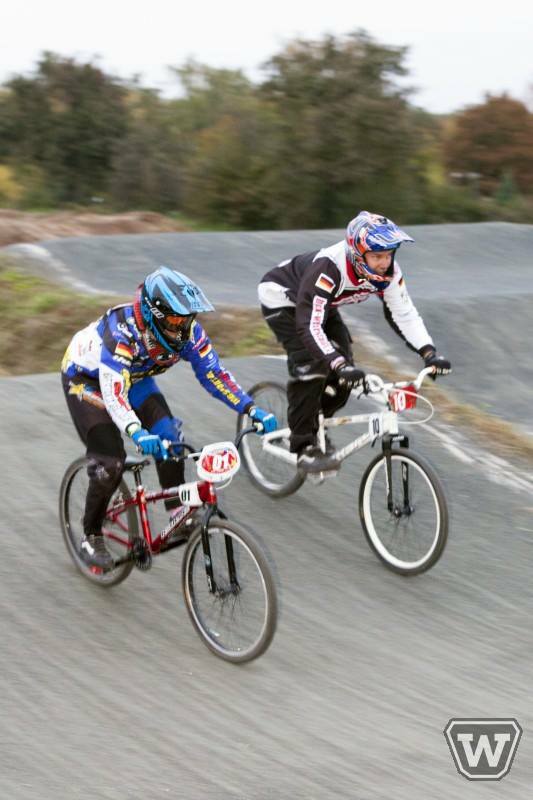 The first days were also acclimatization to the 15°C warm winter, and i could keep my bike-feeling after we had found a spacious built BMX-track. 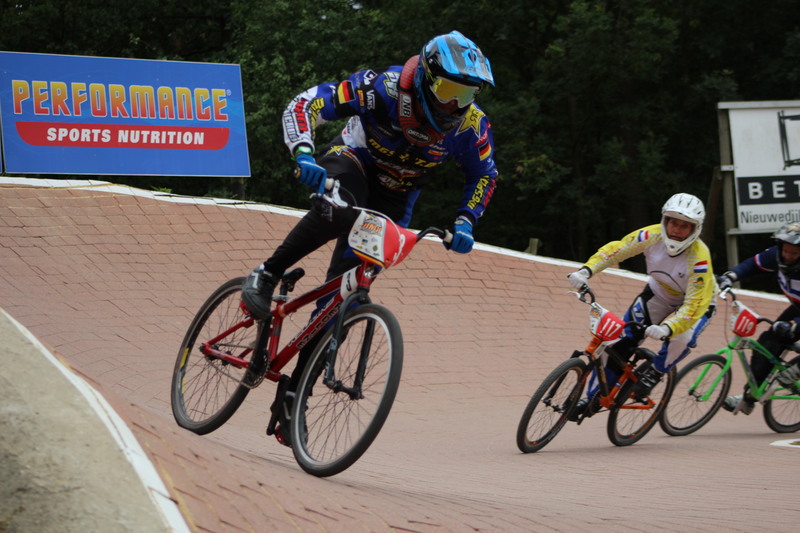 Finally viewing the BMX-track was allowed, and it seemed very small, even smaller than Birmingham the year before. The jumps seemed ok and fun, so i was looking forward to my first laps. The biggest danger of all was the first turn with the obstacle leading into the turn, because everything was short and tight, already in the first training many riders hit the ground. That's why the tarmac was revised, the level of the turn rised a bit - with only little success i must say with a hindsight. On 2nd training day everything worked quite ok, so i was looking forward to race-days. The new blco-system promised more compactness, first i had my 20-inch race. Reaching the final was more a dream than a goal, the better is was how clear i did it. My competitors looked - once again - kind of strange, because there was everybody's age on the list. The final's crash was not what i wished for, this can always happen, i still was satisfied. The next day was cruiser-race, and also here i wanted to be part of the main final, and if possible not worsen my last year's result. After a turbulent warm-up and change of (bent) handlebar i went positive into my race, it could only become better, and my heart-rate lower a bit, too. Having my 4th crash in 2 days was severely, all chances to climb up the podium or maybe a win were gone after a very little mistake. I couln't believe i was sitting at the ground again. Even though it was very hard, i did, what You to, if possible somehow: i got up once again. On sunday when we watched the Elite & Junior Worlds, i coulnd't believe what i saw: my trouble-making obstacle was rebuilt and way longer, obviouly way better to ride. Following we had some vacation at NZ and Australia, and that felt great for the psych as well as for my body, even though the "souvenirs" from the crashes would accompany me for the rest of the season very noticeable. The season's 2nd half started at my old 2nd home, i felt good at Bremen and reached, even after that long break, good results. It was simple a wellness weekend with bright sunshine. The track at Herzogenaurach awaited us a little wet after several days of rain. But after all it went well for me, and besides i've gain some new knowledge (about humans). The last race of the regional BW-Cup was in the category "disgusting" regarding the weather conditions, but worth it regarding friendships. And finally at Weiterstadt happened once again the night-race - season end - and it was really cold, but at least dry and with maximum fun. What else can i expect?! Too bad that there was another event what lower the number of riders, but we have been at the right place, definitely! Now it's time for some basics for the new season to be well-prepared for whatever would come - and beside that some sport is always fun. Insgesamt waren schon 249793 Besucher (1018064 Hits) hier!